It is wonderful to be back at Pedare after my time away on leave. I want to thank Mr Lindsay Jackson for his hard work while I was away. It was a busy time and one that I know he enjoyed. One of the core reasons for my trip was to develop transitions focussing on the International Baccalaureate Primary Years Programme (PYP) and Middle Years Programme (MYP). I joined other principals from Adelaide, as we researched project based learning at High Tech High in San Diego, Southern California. I spent time at independent schools in Hawaii to see how they deliver a large range of educational offerings to their students, and how they are providing a STEM based education from elementary to their Year 12. 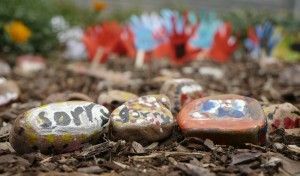 With these recent experiences, I have spent time reflecting on and comparing the education we provide our students and the very challenging world events we see happening in Manchester, London, Paris and Melbourne in recent times. 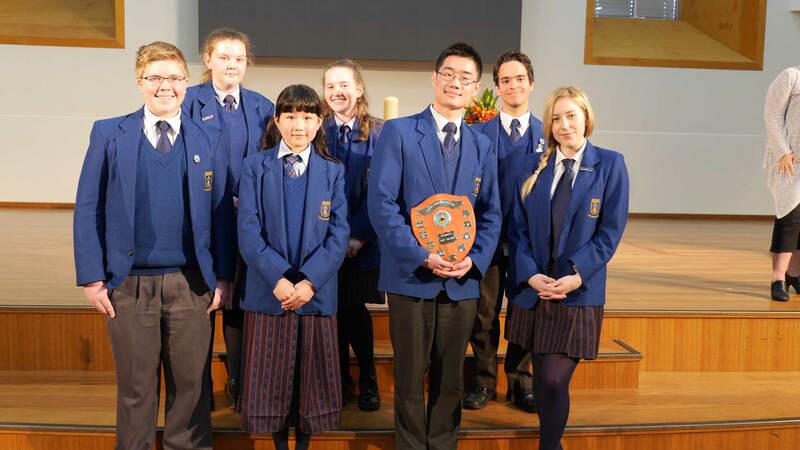 I am very affirmed we I can say “thank goodness we have a Pedare education to offer our students.” We are founded on Anglican and Uniting Church Christian values which promote tolerance, understanding and compassion. Equally important, in my view, is a Pedare education has an “international or global” focus through our International Baccalaureate PYP and MYP Programmes. These programmes also provide Pedare students with the skills and the empathy to advance their understanding, respect, tolerance, community service and compassion. 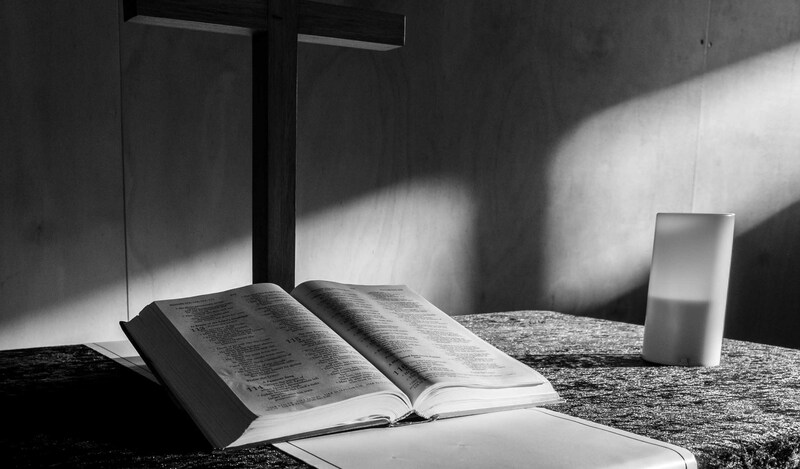 These ideals, coupled with our Christian mission, provide students with a values framework which they can rely on and use as they grapple with their place and role in demanding and challenging circumstances. Pedare’s teachers are committed to guiding and advising students in these essential human values. Pedare has a strong mission; to create a better world by providing a high-quality international education. 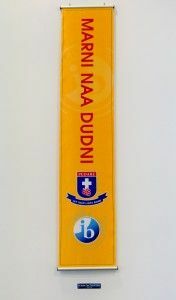 Now more than ever we need Pedare students to be IB global students. They are our future leaders and need to be young adults of integrity and compassion. The IB Learner Profile outlines for our students enabling them to be inquirers, knowledgeable, thinkers, communicators, principled, open-minded, caring risk-takers, balanced and reflective. Communicate effectively in a variety of situations. To summarise, students are to decide on an area of interest and, in consultation with their Home Group teacher and project supervisor, will work throughout the year to present their project in Term 4. 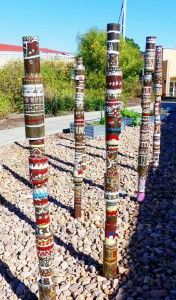 This project may be completed individually or in a group of up to three students and address a need within a community. As this is a new project and will involve a significant amount of time from the students both at home and out of hours, we invite you to a Parent Information Evening Thursday, 15 June at 6:30 pm in the Wattle Centre. We look forward to seeing you on the night. This week we have spent some time in Middle School classes talking to students about using their devices appropriately and monitoring the amount of time they spend on them. Spending long hours into the night on a device or on the internet can have some detrimental effects on a student’s general health. Students are using their devices at school and will often have some learning to do at home with devices which we see as valuable backup and consolidation of what has taken place in the classroom. The time allowed for playing games on devices should be minimal on weeknights and should always be monitored by a parent. The internet has great advantages for student learning but unfortunately, if usage is not monitored, students can fall into bad habits or be targeted by the more ‘seedy’ elements that exist on the internet. Students can become addicted to devices and playing ‘just one more game’ or ‘just a little while longer’ which can result in further procrastination from school work, family time or importantly sleep. It is recommended that Middle School students (aged between 10-15) should be getting 9 hours of sleep each night. Often, when devices such as an IPads, computers or phones are kept in the bedroom at night they can be one of the causes of a lack of sleep, which can then lead to concentration issues in the classroom and students can miss out on important learning during the day. Some suggestions to parents are to set limits on the amount of screen time and internet usage when at home. Getting children into a regular sleep routine without the distraction of electronic devices is recommended from an early age. For help or guidance in relation to computer usage, please contact your child’s teacher or the College counsellors for further information. A reminder that Semester 1 concludes on Friday Week 8. 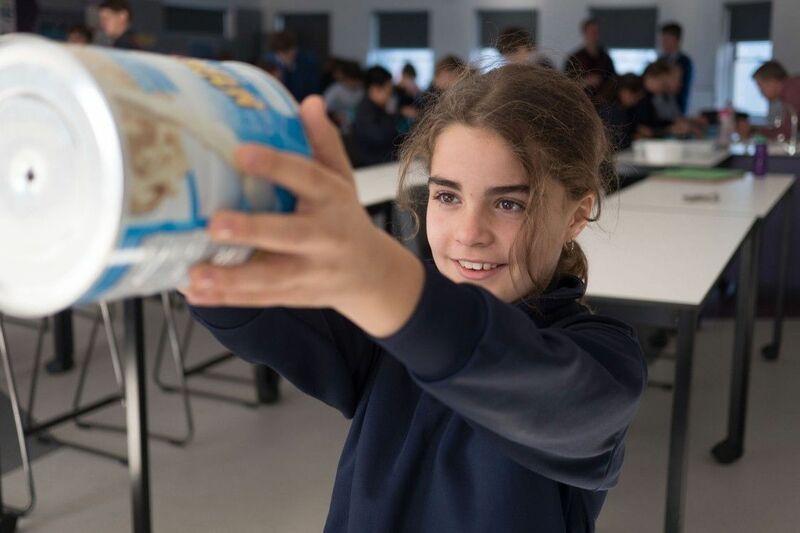 Our Middle School students will have new subjects starting in Week 9 and I am sure they are looking forward to what lies ahead for the remainder of the term. Senior School students have certainly had the opportunity to learn from others in recent weeks. Year 10 students have also benefitted from the experience of others as they attended their annual Career Speed Dating afternoon. They met with a wide range of people employed in a variety of occupations and gained a better understanding of the nature and requirements of possible future pathways. This understanding will be further enhanced by their attendance at the One+ Careers Expo, where they will be addressed by Mr Ivan Neville from the Federal Government Department of Employment, Canberra, who will present information about local labour markets that will help students to make informed career choices. They will also have the opportunity to meet with a wide range of representatives from tertiary institutions and training organisations to help guide them in their career planning and development. As Term 3 and 2018 Subject Selection evenings draw closer, it is timely for our students and families to look at pathway options beyond secondary education and to gain insight from the knowledge and experience of others. Walking around the Junior school you may have noticed a new installation on the Junior School Library wall. 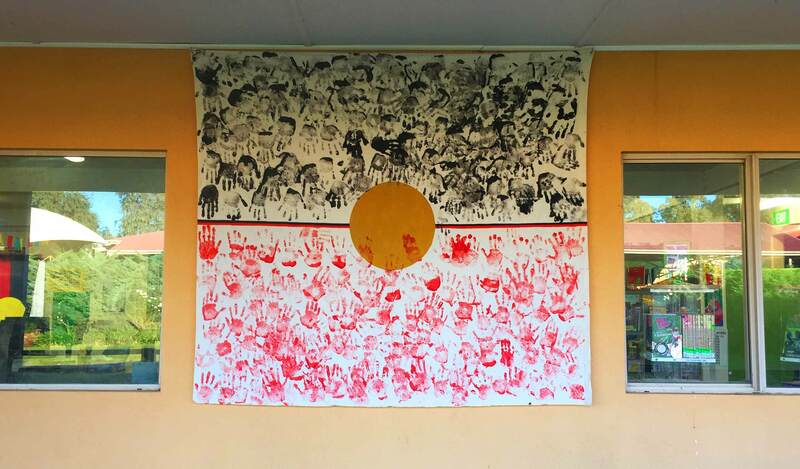 To recognise reconciliation week, students created a personalised Aboriginal Flag from their hand prints along with an increased focus on the meaning through various books and material focusing on Aboriginal and Torres Strait Islander people. 2017 marks two significant anniversaries, the 50 anniversaries of the referendum and the 25th Anniversary of the Mabo decision around Torres Strait Islander rights. These anniversaries also us to reflect on those decisions and to actively participate and hold a discussion on what we want Australia’s future to be. 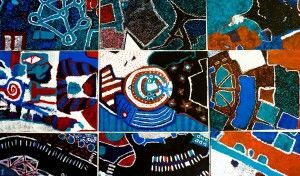 Pedare values the special relationship Aboriginal and Torres Strait people have with the land past and present and seek ways to make this more prominent in the future both within and outside of the curriculum. On Thursday 8 June, the IB MYP Certificate ceremony was held in the College Chapel. 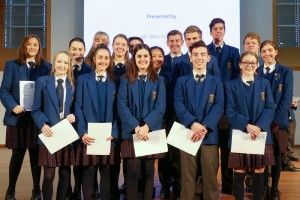 At the Assembly, Mr DeBoer presented IB MYP certificates to Year 11 students who completed the programme last year. This year, Sophie Szabo was given the merit award for perfect scores of 7 across all her subjects. 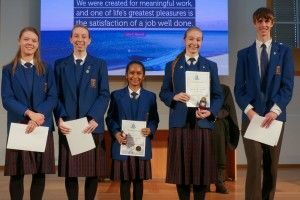 After a wonderful rendition of Aretha Franklin’s song Muddy Waters sung by Michelle Mooney, Year 11, Ms Jan Robertson took to the stage to present awards for the Year 10 Personal Projects. The 2016 Global Context prize winners for 2016 were: Fairness & Development – Gabrielle Howland, Globalisation & Sustainability – Ashleigh Taylor, Identities & Relationships – Noshin Hassan, Orientation in Space & Time – Jackson Mickley, Personal & Cultural Expression – Sarah Hogg, Scientific & Technical Innovation – Sophie Szabo. 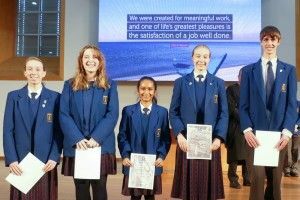 Once again, an extremely high standard of projects were submitted, creating a precedent and challenge for the 2017 Year 10s. On Tuesday 30 May, at the Senior Worship assembly, Chelsea Costello read a prayer in the wake of the devastating attack in Manchester at the Ariana Grande concert. Chelsea’s prayer is one of compassion for those whose lives were lost and for those injured and affected by this tragedy. In sad times, we come together and know we have God to turn to for help, strength and guidance. We thank you for today and the opportunity to give to those who are less fortunate than us. We ask that you may go before us and guide us, inspiring us to be a light to others, letting your light shine through us. Lord, we pray for the victims of the attack at the Ariana concert last week. Comfort those who mourn and strengthen the injured. Deliver those whose hearts are hardened with evil and remind us all of your understanding and everlasting love. Please help those who are struggling in this hard financial time and put to rest their worries. Bring peace and comfort to every heart that is fearful of not being able to provide for their family. In these hard times, may there be unity rather than isolation and encouragement rather than fear. Lord we pray for anyone needing hope, strength and courage. Work throughout their hearts to be their healer, comforter and provider. You know who is struggling and you know each one by name, may you have mercy and compassion. And may they feel your presence working with them through their tough times. Tiana suggested audiences will love the humour, the bright costumes and the beautiful songs. 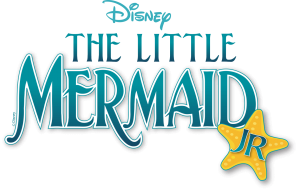 Come Under the Sea with Tiana as she explores some Human Stuff, while trying to be Part of your World. Buy your tickets from the link below. Year 12, Paige Dobie, is excited to be strutting her stuff as the anxious crab Sebastian in this year’s production of Little Mermaid Jr. Paige has been involved in 2 productions at Pedare, 10 productions with Adelaide Youth Theatre, 1 Musical Theatre Camp with Pelican Productions, 3 overseas performing arts tours with the Australian Youth Performing Arts Team where she performed in Disneyland and Universal Studios. She has also participated in workshops on Broadway in New York. In October this year, Paige will also be a part of the Junior Theatre Celebration in Newcastle. 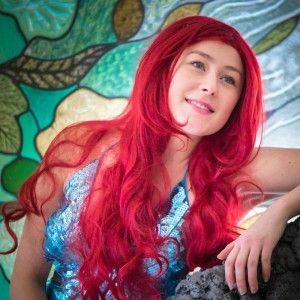 Paige’s favourite part of the show is the song Under the Sea, it’s bright and a great song involving a lot of the cast. She thinks that the audience will like that it’s just a fun production, the songs are great, it’s a good story about Arial pushing some limits to see what life is like on land, and about friends and family and looking out for each other. 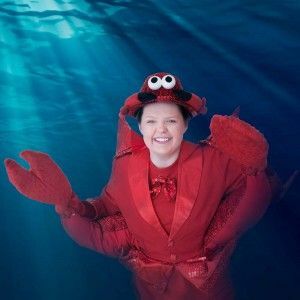 Come and see Paige look after her Under the Sea friends this July. 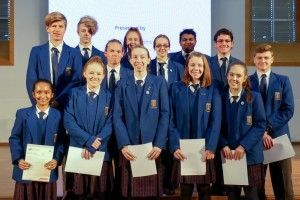 Each year, AnglicareSA grant a group of South Australian students the special privilege of being their ‘lead angels’. This year, we at Pedare, have been granted that special honour. 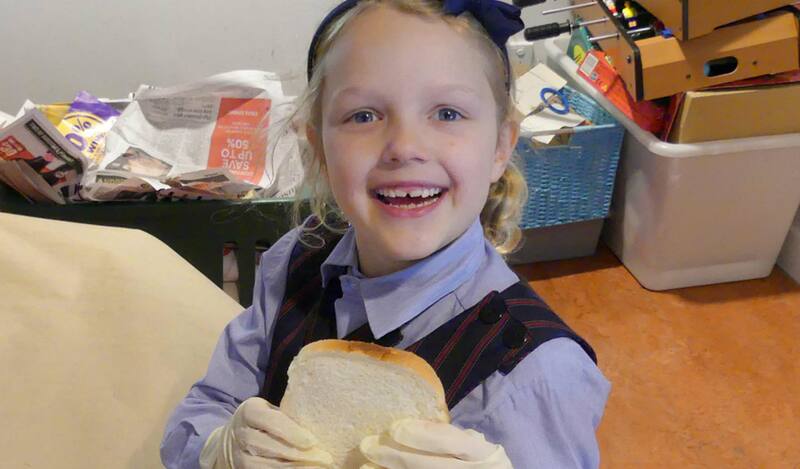 The role of the AnglicareSA Angels is to help with fundraising – something that we do very well at Pedare, especially when we see people in need. Being an Angel school is a big responsibility and one that all Anglican schools take very seriously. 2017 is our year to shine brightly and lead the way in helping AnglicareSA help those in need. To help kick start this wonderful opportunity as AnglicareSA Angels, the Captains organised ‘Sceanie Day’. 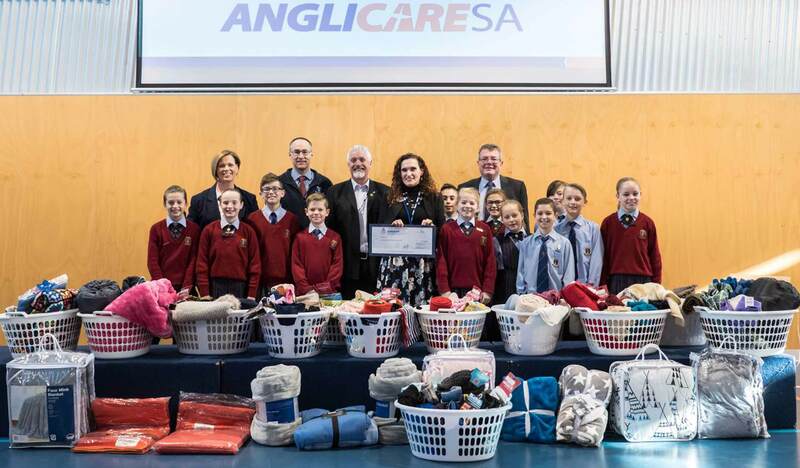 This was to help with the winter appeal and students were encouraged to wear casual clothes, beanies and scarves or both – hence the name ‘Sceanie’. 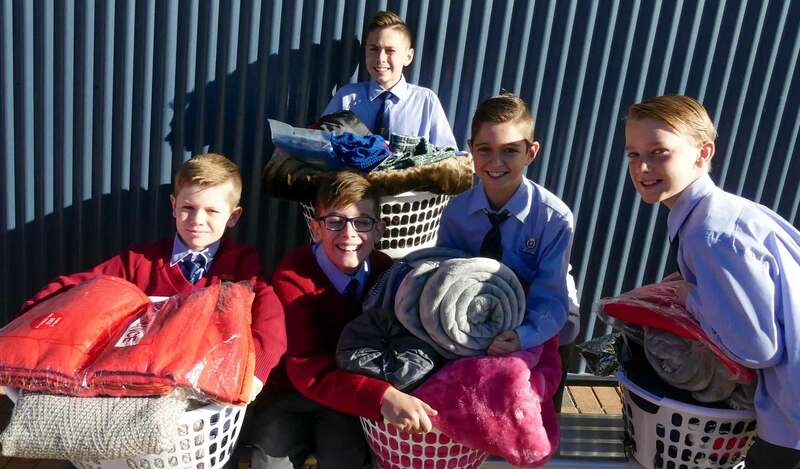 A gold coin donation was made on the day and many donations of blankets, scarves, beanies, gloves and clothing filled the foyer at the Junior School. We raised an amazing $543.60 which enabled the captains to go shopping and buy more supplies. This was supported by Big W and their manager – Jasmine who helped our dollars go further by giving us a ‘Wish Card’ and making sure the items we purchased were on sale. 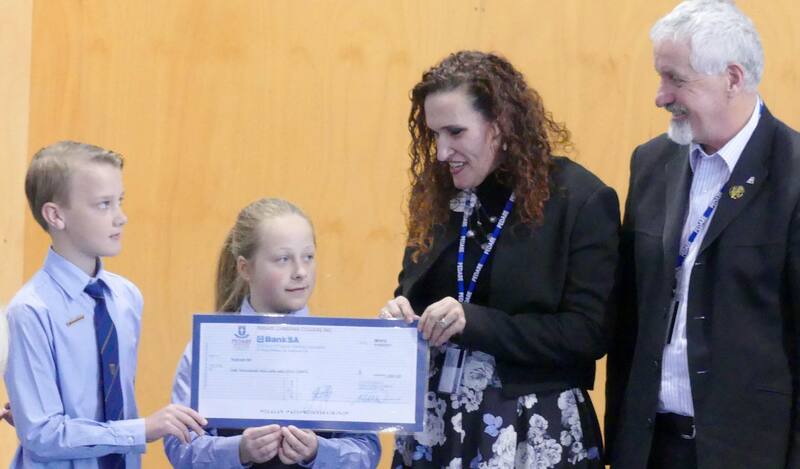 On Friday 2 June, the Pedare Junior School community passed on their generosity to AnglicareSA during Worship. The captains had great delight in presenting these gifts (which totaled 12 baskets) and a cheque for $1000.00 to Mr Peter Burke – Director, Mission and Anglican Community Engagement and Ms Ramona Reynolds-Smith – Key Partnerships Manager. A true example of seeing our Christian ethos at work. 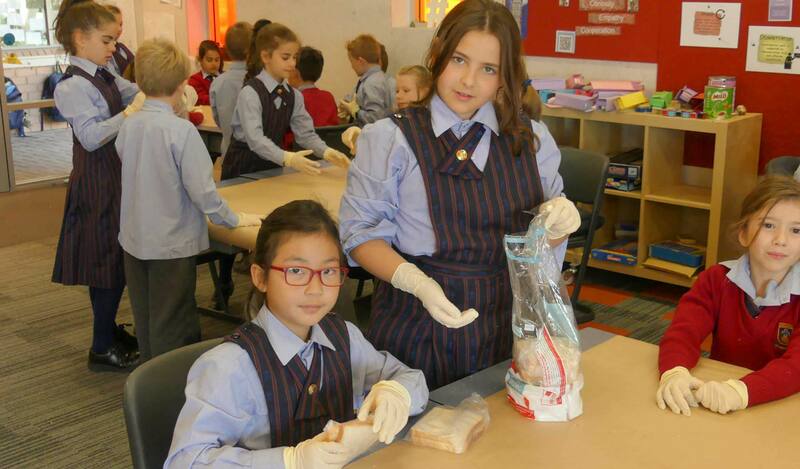 When Pedare Junior School’s Anglicare Angels were made aware that some students in Adelaide schools were going to school without lunch, they decided this was a fabulous opportunity to spread God’s love and to help others in the community. 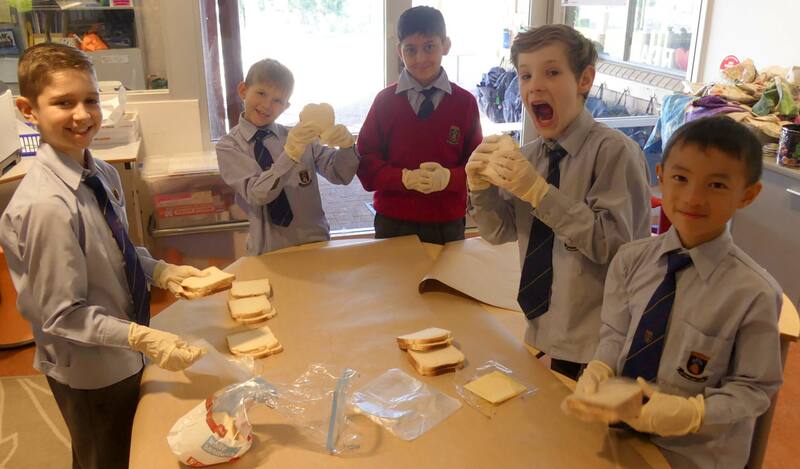 The Year 2s and their Year 5 buddies acted by making cheese sandwiches to be wrapped up and then donated to other schools in need where they will be frozen and distributed to the children as required. This is a wonderful initiative and one that will be a great service to many others. Well done Anglicare Angels. 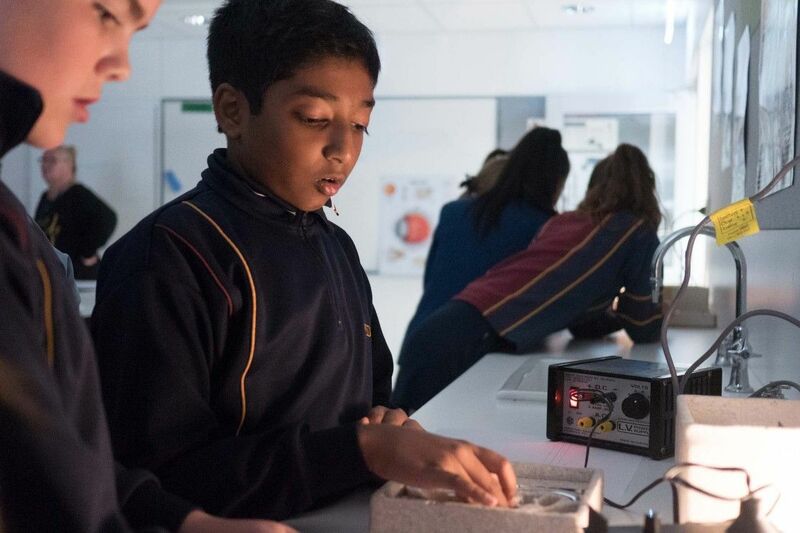 On Wednesday 31 May, Year 5 students took a brisk walk from Pedare’s Junior campus to the Middle School Science Laboratories where the Year 9 STEM class and science teachers delighted the younger students with experiments using light. 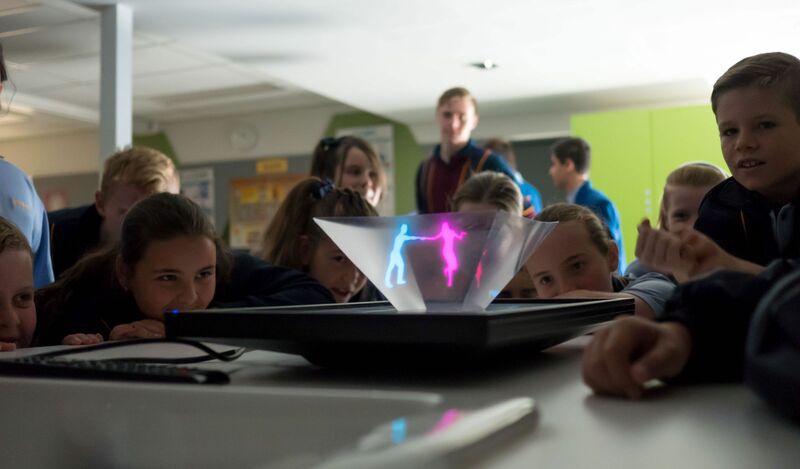 Students investigated how the human eye works and the properties of light through a variety of engaging activities such as making periscopes, pinhole cameras, using prisms and reflectors and making their own holograms. The visit also enabled Year 5s to familiarise themselves with the Middle School as part of Pedare’s transition program. 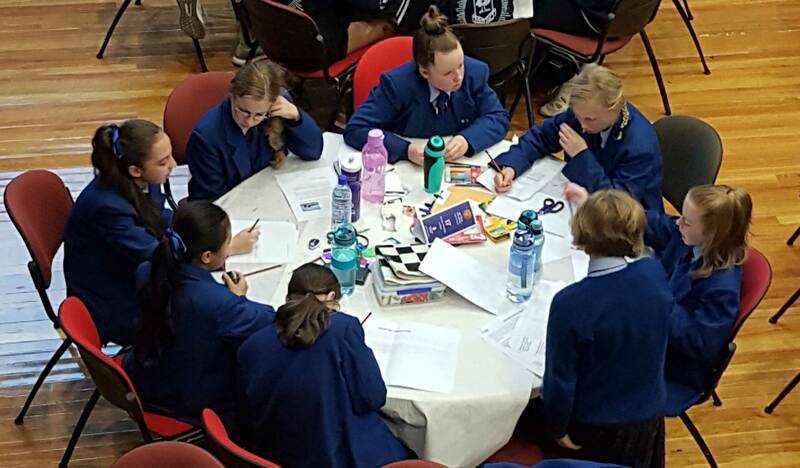 The da Vinci Decathlon was held at Saint Peter’s Girls School on Tuesday 30 and Wednesday 31 May. 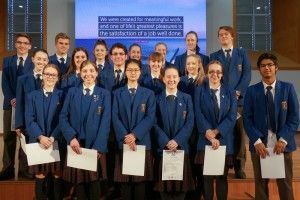 The competition began in 2005 as an exciting offshoot of the very successful da Vinci Program for gifted and talented students at Knox Grammar, in Sydney. It is an academic competition designed to challenge and stimulate the minds of school students with emphasis on higher order thinking skills, problem solving and creativity. The students work collaboratively in teams of eight across 10 disciplines: Engineering, Mathematics and Chess, Code breaking, Art and Poetry, Science, English, Ideation, Creative producers, Cartography and general knowledge. Our Year 6 and Year 7 teams were selected from Th!nk Club and competed against over 20 schools on respective days. The teams worked diligently in each session to complete the tasks in the allocated time. Congratulations to the Year 6 team on achieving first place in the Mathematics and Chess section! All students represented the college well, approaching the day with enthusiasm and a positive attitude. They also enjoyed interacting with the other teams at recess and lunch breaks. The creative producer and musical performances at the end of the day were a highlight. It was a rewarding experience for all who attended, including parents and teachers. After a two-year break, 2017 saw the return of Pedare’s Got Talent! 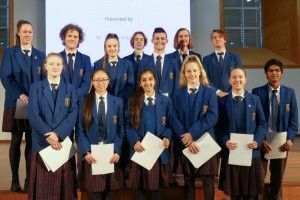 College Captain, Pal Tear, and some students, did an amusing and entertaining promotion at the final Assembly in Term 1, so when the time came for nominations, we very quickly had 15 acts wanting to perform. Pedare’s Got Talent was back! Our student community hosts a multitude of talents, so we knew this would be an exciting competition. Over three lunchtimes, students and staff flocked to the Chapel, eager to see what each round would bring forth. Mr Andrew Cockburn and Lachlan Wilson organised the sound so the Chapel was ready for action. Tom Pengilly and Tyson Prettejohn, warmly welcomed acts from all year levels, and did a wonderful job of hosting the show, entertaining us with their own antics and style. The student performers ‘wow-ed’ us with a range of talents including solo singing, duets, magic, dance, guitar solo, piano recital and comedy. Each act was unique and captured the audience in different ways, but every act earned the respect of the audience as shown by the spontaneous cheering, the lighting of phones and the thunderous applause as the act finished. It is not easy to stand on stage in front of a huge crowd and perform as these students did, making everyone of them a winner for getting up there and doing it! The judges, staff and senior students, considered many factors to determine a score for each performance. This identified the top two acts from each round, and established an overall winner in, Tiana Riemelmoser and Michael Yang, narrowly ahead of Alice Jia. 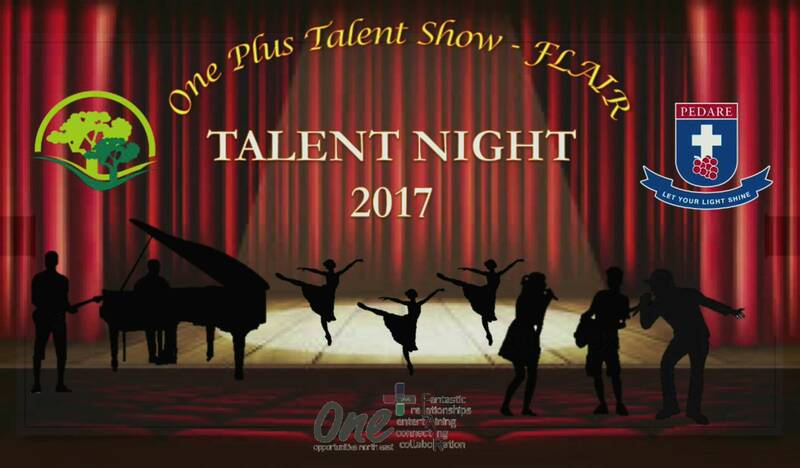 From this group, the top five acts were selected to perform in the FLAIR Talent Show on Monday, 5 June; a new initiative run by the student leaders of Pedare and Golden Grove High School. Pedare’s Got Talent was a wonderful event and many thanks go to everyone who supported this. I have a feeling it might be back again in 2018. A new initiative stemming from ONE+ was the student-led talent show, FLAIR. Student leaders from Pedare Christian College and Golden Grove High School turned an idea into a fun-filled, entertaining night in our College Chapel last Monday night. 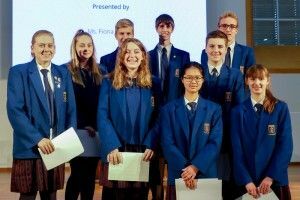 Each school had five acts performing in the show, with Pedare contributing our Year 7 pianist, Alice Jia, Year 9 duet Liliana Carletti and Sarah Ferrige, Year 10 singer Thomas Howe and comedian Nathan White and Year 12 duet Tiana Riemelmoser and Michael Yang. The Golden Grove acts included singers, a dancer, guitarist and beat boxer. All ten acts were performed with passion and energy and certainly displayed considerable talent. Even with criteria to follow, the quality of performances gave the four judges an incredibly hard time in deliberating over the acts but their decisions were clearly supported by the applause that sounded when the announcements were made. Cash prizes, donated by our local Labor politicians were given to the top three placegetters. Our own Pal Tear, combined with Jordan Ayre from Golden Grove hosted the night and entertained us with their own style, music and comedy. They were ably supported by Lana and Navin from Golden Grove who managed backstage and behind the scenes. These four students should feel very proud of producing such a successful event that brought our two schools together and raised money for our 2017 charities – for Pedare, $400.00 to Kids Helpline and UnitingWorld. Cheers to a wonderful new event – we look forward to keeping the tradition of a ONE+ event on the school year calendar! 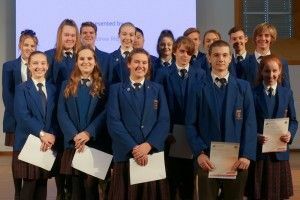 On Wednesday 15 March, 75 students from Middle and Senior school took part in the Hamann School Mathematics Competition for Society of Petroleum Engineers Prizes, run by the Mathematical Association of South Australia. The results have arrived and the following students have been selected to receive a prize/certificate and have been invited to a Presentation Ceremony at Pembroke School on 28 June 2017. Congratulations to all the students on their efforts. It has been a busy couple of weeks in the Drama department with two Senior School productions. The Year 10 class presented Mat Cameron’s fractured fairy tale, Ruby Moon. It was wonderful to watch the students bring from the page to the stage the eccentric characters. The ability to work in a professional theatre setting at the Golden Grove Arts Centre gives the students an amazing opportunity to develop their creative skills. The production was well received by friends and family and the students are very proud of what they achieved as an ensemble. 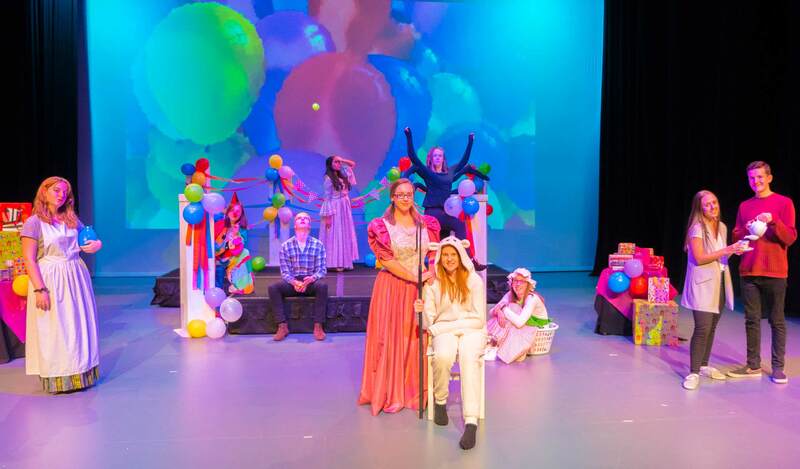 Year 11 Drama students went back in time and revisited what it means to be an eight-year-old and the complexities of being a parent in Michael Butler’s production of Amelia Bradshaw Turns Eight. With strong performances, the Year 11 Drama class brought to life sensitive and thoughtful moments, delighting and engaging the audience. With wonderful audience responses, the students rose to the occasion and all the hard work during the rehearsal process paid off. The Year 11 students are a professional and supportive group of and it has been an absolute pleasure to watch them grow in confidence and creative skills through the production. The Year 12 Drama students are currently working on an adaption of Henry James’ gothic novella Turn of the Screw which promises to be an intriguing physiological guessing game as the main character navigates a mysterious presence within a manor house. If students are interested in Senior Drama they are recommended to attend the performance on the 25 and 26 July at the Golden Grove Arts Centre. Congratulations to Ryan Przibilla, Year 9, who tried out and was selected for the U15 Adelaide North Pirates Baseball team and has gone on to qualify for the National Championships to be held at West Beach. The tournament will take place from 21-26 May with Adelaide North playing against 15 other teams from across Australia and the winning team earning a fully paid trip to the USA to compete in the World Championships. Ryan will be required to stay with the team and officials at West Beach for the duration of the championships, with games being played at various times throughout the day. Congratulations to Curtis Graham, Year 12, who was successful after applying for the 3-day Australian Maritime College program in Tasmania from 28-30 June this year. Curtis will be exploring pathways at the university, experiencing student life on campus, speaking to the university engineering students and lecturers, learn about world class opportunities and explore careers in maritime engineering. Most of the costs, including meals, accommodation, travel and airfares are covered by the program. Old scholar, Julia Blackman, Class of 2015, was invited to attend the program two years ago and is now studying with the AMC. Julia was featured in Pedare’s last newsletter, The Vine, Issue 7. 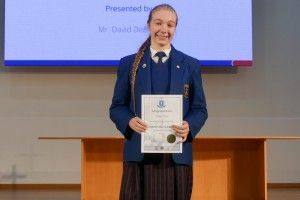 Congratulations to Cassie Hoare, Year 11, who has recently been in Melbourne for the Australian Gymnastics Championships and has won the Junior International Trampoline title at the event. Cassie also placed second in Senior International Synchronised trampoline with a partner from Queensland. Congratulations also go to Savannah Crompton, Year 11, who was the overall winner in Level 9 of the Australian Gymnastics Championships. Congratulations to Gabrielle Smith, Year 6, Isabella Emery, Year 5 and Emily Craig, Year 6, who have been selected to join the Assistant Teacher Training Program at the dance school they attend. The dance applicants are assessed on their dedication, commitment, behavioural standards and quality of grooming. Gabrielle, Isabella and Emily have been acting as leaders and role models to junior students throughout Semester 1 2017. Gabrielle, Isabella and Emily have been acting as leaders and role models to junior students throughout Semester 1 2017. 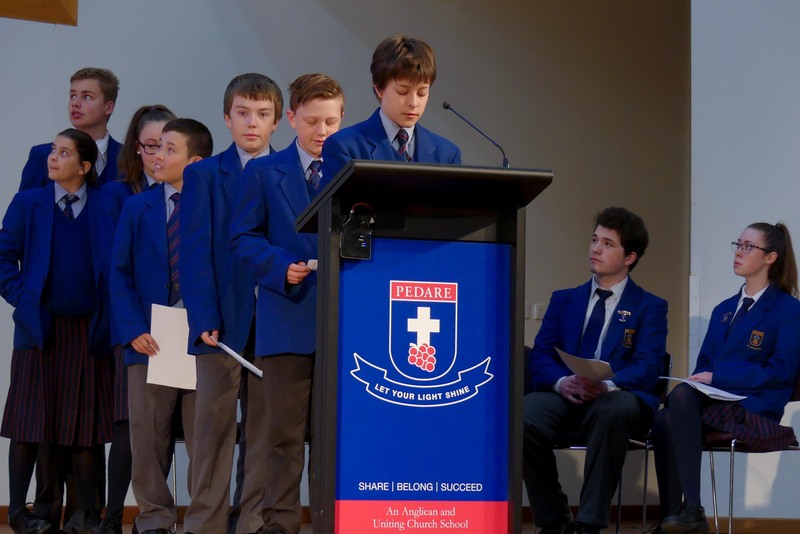 On Saturday 13 May, Pedare hosted the AMEB (Australian Music Examinations Board) exams in the College Chapel. This is the first time Pedare has held the exams at the College for students, and students from other Colleges. Another session will be planned for the end of the year. Congratulations also go to Thomas Brennan, Year 6, who recently received a High Distinction A+ for Grade 4 Viola. After months of dedicated training, the Pedare SPiN+ Netball squads boarded the bus on a chilly Monday morning to compete in their first full-day tournament of the year – Netball SA’s Specialist Schools Playoffs. Being the first year of the SPiN program it was decided to enter one team into each of the Year 6/7 (Division 1), Year 9 (Division 2) and Year 10-12 (Division 2). Regardless of the inclement weather, it was a successful day for all teams! Mrs Johnson selected 12 students from her training squad, focusing on giving all girls as much court experience as possible. She was extremely pleased with how her team improved throughout the day and the solid combinations they formed. The Year 6/7 team finished 3rd after the completion of the rounds and played off in the final for 3rd & 4th. They faced a tough Trinity College in the final, with the first half showcasing some brilliant defence by both teams. It wasn’t until the second half that Pedare were able to stretch out the lead, finishing the game Pedare (14) def Trinity (6). Mrs Moodley also selected 12 students from her Year 8/9 squad to play in the year 9 division, as well as giving 3 students the opportunity and experience of playing in the open division for Pedare. The Year 8/9 team had a great start to the day, winning their first match convincingly and then drawing in their second, against cross-campus rivals, Gleeson. The team finished 3rd overall and played off in the final for 3rd & 4th. Having not met Blackwood Red in the rounds it was a bit of the unknown facing up against them in the final. With the other two Pedare teams cheering loudly and watching on nervously, it was a tense game. Pedare’s defenders created several turnovers, however, inconsistency in the attacking end proved costly with the final score being, Blackwood Red (13) def Pedare (11). Mrs Hunter’s senior team were unsure what to expect with a few key players unable to make the day, however, this allowed several others in the team to step up to the challenge. The team warmly welcomed in 3 students from the Year 8/9 squad and led by example with their behaviour and sportsmanship on the day. At the completion of the rounds, Pedare sat on top of the ladder with only one game remaining, the final between 1st & 2nd. Pedare played Trinity in the final, with what was a skilful and physical match between the two schools. With the scores extremely close at half time Mrs Hunter opted to keep her line-up unchanged and urged her girls to find something more for the final 15 minutes. The team responded with a few crucial plays to change the momentum and finished the game Pedare (18) def Trinity (14). Overall, it was a brilliant day for all of our teams, finishing 1st, 3rd and 4th respectively. 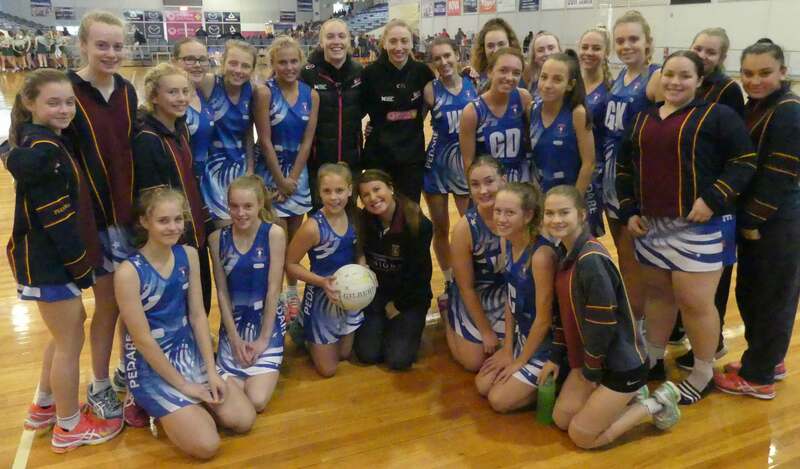 We wish our Netball teams all the best in their future knockout games! Go Pedare! The 6/7 girls netball team competed in the second round of the Knockout competition against Mawson Lakes Primary School. With a great deal of training under their belt, the Pedare girls were too good for their opponents, running away winners 27-16. Best players from Pedare were Tia Oors L’Estrange and Brooke Cornish. The girls will now move on to the third round of the competition and will face Greenwith Primary School. The 8/9 girls Netball team played in the first round on the Knockout competition against Playford, Thomas Moore and Paralowie. Pedare were far too good for their opposition as their hard work at squad training was evident. The girls won all their games comfortably and will now be moving on to the second round of the competition. 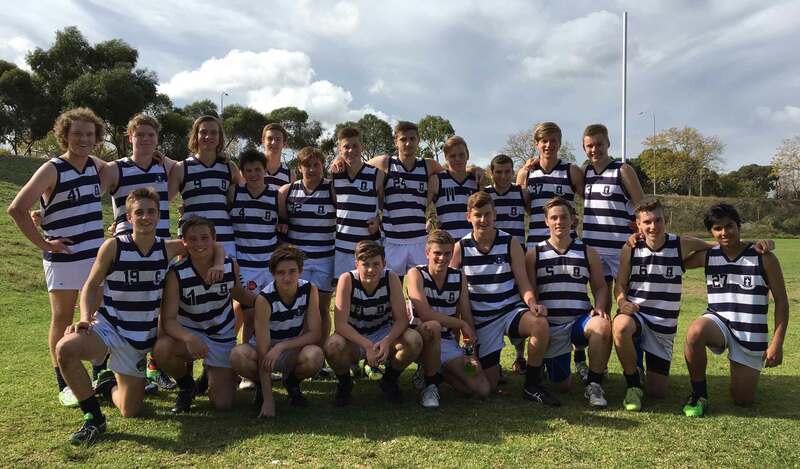 Final scores for the games were Pedare 36 defeated Playford 9. Pedare 36 defeated Paralowie 16. Pedare 36 defeated Thomas Moore 26. 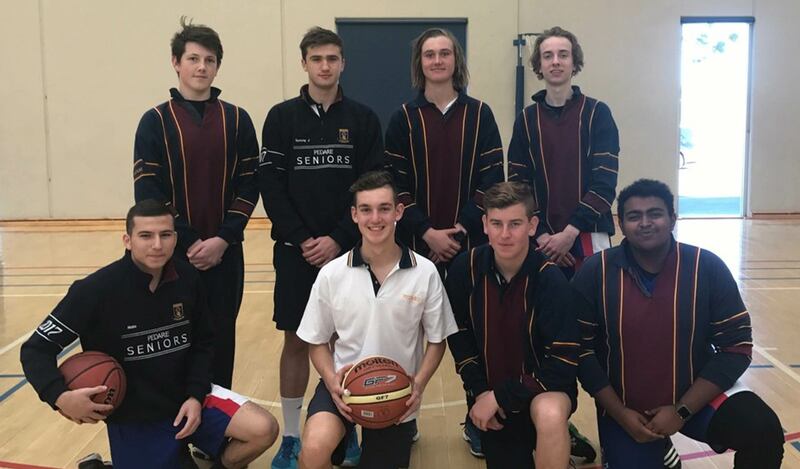 The Open Boys Basketball team played in the first round of the Knockout competition at Cedar College against Cedar and Thomas Moore. The boys played extremely well in tough conditions with the Cedar home crowd making plenty of noise. The boys held their nerve and eventually came out winners 69-65. They then backed up against Thomas More and were once again victorious. This sees the boys move onto the second round of the competition. All the boys played particularly well, with Sam Johnson and Jack Shephard putting in stand out performances across the day. 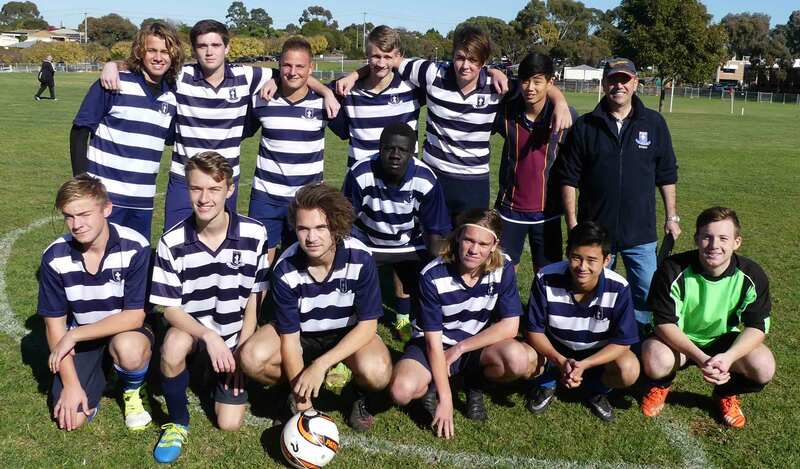 On Wednesday 24 May, the Pedare 8/9 Knockout Football team participated in two games against Birdwood High School and Golden Grove High School. The boys were buzzing before the first game against Golden Grove. It was a tightly contested match, but unfortunately, after having the same amount of scoring shots as our opposition, we missed our chances in front of goal. The team then watched Birdwood and Golden Grove do battle. 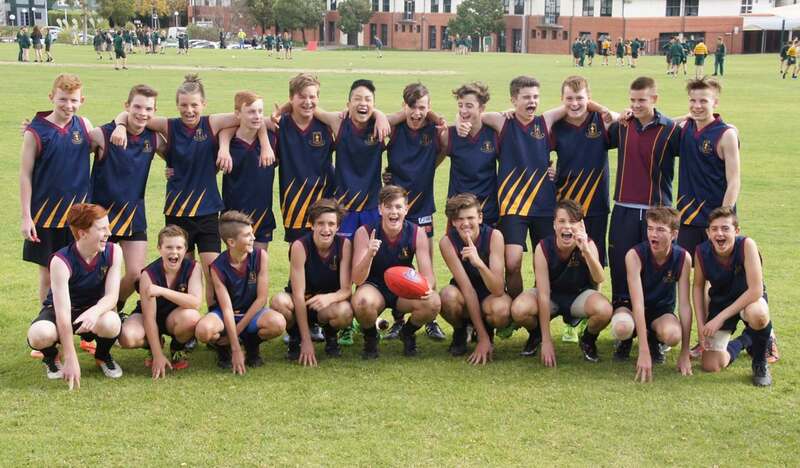 After watching Golden Grove comfortably beat Birdwood, the boys were full of confidence. In our final game against Birdwood, we played some fantastic football and dominated on the scoreboard. We ended up running out winners by 145 points, with all players contributing to the big win. The boys left the field with their heads held high after a great day of football. Unfortunately, with the loss to Golden Grove, we won’t be moving on to the next round of the competition. It was great to play football for Pedare and hopefully, we can go one better next year. On Thursday 25 May, the Pedare Open Knockout Football team participated in two games against Gleeson College and Golden Grove High School. The boys played well in their first game against Golden Grove running away winners 75-32. Unfortunately, the Gleeson team were far too strong in the second game with the scores 79-26. The boys won’t be moving on to the second round of the competition, but played well as a team and should be proud of the way they represented Pedare. The Open Boy’s Soccer team played in the first round of the Knockout competition against Banksia Park and Golden Grove. Pedare came out winners in both games. The scores were 3-0 against Banksia and 2-0 against Golden Grove with all players in the squad playing well together. Kyle Goels scored 2 goals and Jett Weir, Daniel Broer and Young Kim had particularly great games. Anglican cup games earlier in the term were invaluable trial games for the team. A good all-round performance that is only going to get better as they play more games with each other. It’s that time of the year again, the Junior School Disco is coming soon, a long awaited event for Junior School students which will be held on Friday 23 June, 6:00 – 7:30 pm. You can purchase tickets from now until Wednesday 21 June at Trybooking https://www.trybooking.com/QJJI Tickets will not be available at the door. Please note: By purchasing tickets, you consent to your child’s attendance at the Disco and for your child/ren to be photographed. Photos will not be displayed on any social media. They will be available for viewing on a secure closed website with ordering information to follow after the disco. If you do not wish your child to have their photo taken, please advise via email to the Junior School.